Children at the highest risk of developing peanut allergy– those with severe eczema (atopic dermatitis) and/or egg allergy should have some form of testing to evaluate for the possible presence of peanut allergy. If testing is negative, home introduction or a supervised feeding can be done, and if the child tolerates peanut, they should regularly consume approximately 2 teaspoons of peanut butter at least three days per week. This process should start ideally between 4-6 months of age. If testing is positive, depending on the testing results and the comfort of the specialist, and office based food challenge to peanut may be done to determine if the infant is allergic before introduction at home is considered. Children in the moderate risk group– those with mild to moderate eczema and no egg allergy should start consuming peanut (about 2 teaspoons) three days per week starting around 6 months of age. These children do not necessarily need testing before peanut is introduced, which can be done at home. Children at low risk for peanut allergy- those without signs of eczema and without egg allergy can start consuming peanut when age appropriate and according to family and cultural preferences. While formal recommendation #3 does not stress early introduction, it is important to note that there is no real downside to early introduction, and delaying introduction even in those without eczema or egg allergy could potentially lead to an increase in developing peanut allergy compared to those who introduce early. A question parents often have is how peanut can be introduced at home. The video below features Dr. Ruchi Gupta, one of the leading experts in food allergy, discussing home introduction of peanut. We hope you find this helpful! 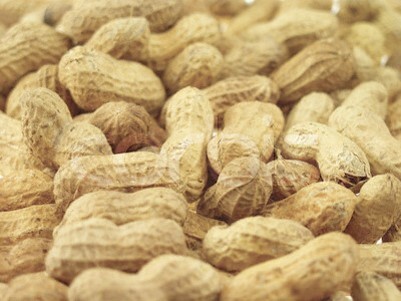 If your infant or toddler is found to be allergic to peanut, do not despair. There is good recent evidence that early oral immunotherapy (OIT)/desensitization to peanut has very good outcomes (over 90% success rate when done correctly and carefully) and is safe. If you would like more information on OIT, see our Food Allergy Center of St. Louis page. Allergy Asthma Food Allergy Centers of St. Louis- Our New Name! 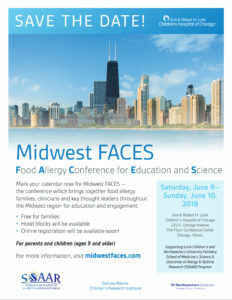 As many of you know, our practice has a very large focus and significant expertise in food allergy- not just oral immunotherapy (“OIT”)/desensitization treatment for foods but also comprehensive management of food allergies. We maintain our expertise in managing other allergic and immunologic conditions such as seasonal allergies, asthma, eczema, chronic hives, contact dermatitis, recurrent infections, and immune deficiencies. However, since treatment of food allergies has become a bigger proportion of our practice, we have decided to rebrand our practice with a new name that more closely corresponds with our mission statement. Our mission is to use our expertise in allergy and immunology to improve the quality of life of adults and children through the diagnosis and management of asthma, food allergies, and allergic conditions. We are thrilled to share with you our new name (Allergy Asthma Food Allergy Centers of St. Louis) and logos! We also have a food allergy specific logo, which you will now find on our Food Allergy Center page of our website (http://www.aascare.com/our-services/food-allergy-center/). We thank you for your continued support, and we look forward to continuing to partner with you and your families in pursuing our mutual goal, which is “FREEDOM FROM YOUR ALLERGIES”. EpiPen and Mylan Generic Epinephrine Autoinjector Expiration Dates Extended for Some Lots. [August 21, 2018] Due to the intermittent supply interruptions of EpiPen, FDA is alerting health care professionals and patients of updated dates through which some EpiPens and the authorized generic version, manufactured by Meridian Medical Technologies, a Pfizer company, may be used beyond the manufacturer’s labeled expiration date. To help ensure patient safety, these products should have been — and should continue to be — stored as labeled. Based on stability data provided by Pfizer and reviewed by FDA, the following extended use dates are supported for specific batches indicated in the tables below. Patients that have the batch numbers below will be able to use them through the corresponding new use dates to help with supply. As data become available, this list can continue to expand. FDA is not requiring or recommending that the identified batches in the following tables be relabeled with their new use dates. However, if replacement product becomes available during the extension period, then the agency expects the lots in these tables will be replaced and properly disposed of as soon as possible. Please see the recent FDA in Brief for more information, and contact CDER Drug Shortage Staff at drugshortages@fda.hhs.gov with questions regarding these tables. Is There Any Reason Not To Get A Flu Vaccine? In spite of the recommendations, fewer than 50% of Americans got a flu vaccine last year. In order to minimize the risk of an epidemic of influenza, officials would like for at least 70% of Americans to get vaccinated. There are many choices of vaccine. Unfortunately, for those who hate needles, the nasal spray vaccine is no longer available. It was found to be less effective than inactivated vaccines (flu shots) in preventing influenza illness in children. Due to that, the ACIP (Advisory Committee on Immunization Practices–a part of the Centers for Disease Control) advises against using the live intranasal flu vaccine for anyone this year. I’m tough. I have never had the flu. We hope that all of our patients have an immune system to be proud of. But the fact is that 5 to 20 percent of the US population gets influenza each year. The influenza virus doesn’t care if you have had it before or not. As our friends in advertisement would say, “Past performance is no guarantee of future returns.” So if you don’t get a flu vaccine, you are gambling that you will be lucky. There is a very good chance that one of these years your luck will run out. And if you lose, you can expect at best to feel crummy and miss a week of school or work. At its worst, you can die from influenza (even if you are healthy before you get it). The rate of death for influenza is 1.4 people for every 100,000 persons. In the greater St. Louis area of about 3 million people, that is 42 people. Ask someone who works in a hospital. People die of influenza each year. It is best to protect yourself and your friends and family that you are exposed to. Can’t I get the flu from the vaccine? Nope. Other than the nasal vaccine (which is no longer available), NONE of the influenza vaccines contain any live virus, and cannot cause influenza. They are either inactivated virus vaccines or a recombinant vaccine that is produced without the use of influenza virus or chicken eggs. But people say that the flu vaccine made them sick. An influenza vaccine can cause soreness at the injection site, and rarely it can cause aches or fever. But it cannot cause an infection. Influenza vaccine is commonly given in the late fall and early winter when people get a lot of viral infections that are not influenza. When millions of people get a vaccine, it is likely that some of them will get a cold shortly after which is not caused by the flu vaccine. How do I know the flu vaccine will really work? You really don’t; however it does significantly increase your odds of staying healthy. The decision of what strains of virus go in the vaccine is made months before the influenza season. Some years the educated guess of what should be in the vaccine is better than others. If the match between the vaccine and the viruses in the community is good then you reduce your risk of getting sick by 40 to 60% Even when it is a poor match, vaccination has been shown to reduce the risk of hospitalization and death from influenza. 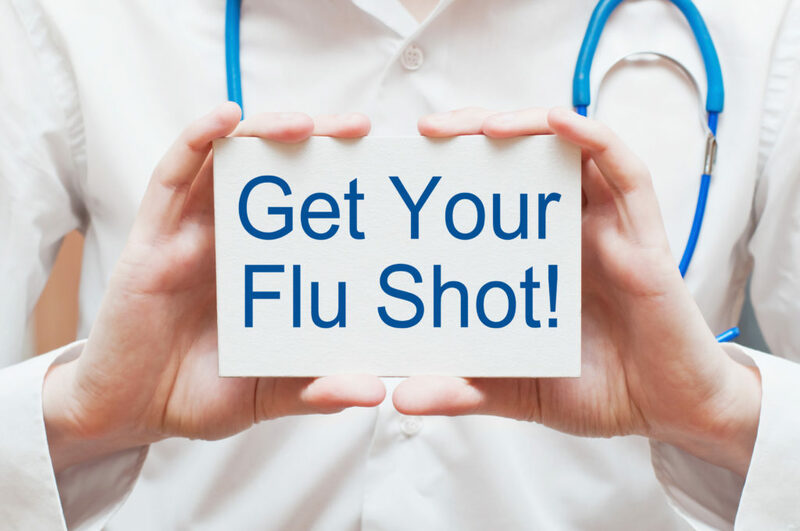 How do I know which influenza vaccine I should get? Your healthcare provider can advise which vaccine is best for you. In our practice (because we see a lot of people with allergies) we use only preservative free vaccines. If you are 65 or older, a high dose vaccine is recommended. It has four times the amount of antigen (inactivated virus) as the standard dose vaccines. It has been shown to be more effective than the standard dose vaccine for those 65 and older. What about the vaccine during pregnancy? Vaccination of pregnant women not only protects them against influenza-associated illness, but also protects their infants for up to the first 6 months of life. What about egg allergy and the vaccine? Doesn’t it contain egg? Studies have shown that even people with severe allergy to egg and tolerate the influenza vaccine, but they should be vaccinated in a healthcare setting, like our office. So who should NOT get the vaccine? Influenza vaccination has been associated with Guillain-Barre syndrome (a disorder in which the body’s immune system attacks the peripheral nerves resulting in weakness and tingling), but the risk is very low and the influenza infection itself has also caused this syndrome. If someone has had Guillain-Barre syndrome, then they should not get the influenza vaccine. We hope for your sake (and ours too) that you and your family get the influenza vaccine this season. In addition, this article by Dr. Aaron Carroll explains why getting vaccinated is important for the whole community.